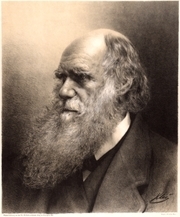 Note that the Norton Critical Edition entitled "Darwin" is not written by Charles Darwin. It is a modern volume with numerous contributors, and edited by Philip Appleman. In addition, the rare work "Charles Darwin and the Voyage of the Beagle" was written by Nora Barlow, and is not the same work as Darwin's own "Voyage of the Beagle". Executive Director of the Highlands Biological Station and WCU biology professor, James T. Costa will visit City Lights Bookstore on Friday, September 12th at 6:30 p.m. to present his new books celebrating the naturalists Alfred Russel Wallace and Charles Darwin. Traveler, explorer, co-discoverer of natural selection and founder of the field of evolutionary biogeography, Wallace was one of the most famous naturalists in the world when he died in 1913, yet has been all but eclipsed by Darwin today. On the Organic Law of Change (Harvard, 2013) is a facsimile and annotated transcription of Wallace’s Species Notebook, the most important field notebook kept by Wallace during his explorations in southeast Asia in the 1850s. In this never-before-published notebook, Wallace recorded extensive evolutionary arguments and reveals his plans for a book arguing for evolution. In the companion volume, Wallace, Darwin, and the Origin of Species (Harvard, 2014) Costa examines the parallel development of Wallace's and Darwin's thinking on species in the years leading up to publication of Darwin's landmark 1859 work, and critically examines allegations that Darwin and his circle conspired to sideline Wallace while stealing his ideas. Costa’s elegant edition of the Species Notebook and its concise companion volume provide new perspectives on Wallace’s remarkable quest to solve the mystery of species origins during his legendary expedition to Malaysia, Indonesia, and western New Guinea in the 1850s, and re-asserts Wallace's stature as one of the greatest naturalists of all time. To reserve copies of On the Organic Law of Change and Wallace, Darwin, and the Origin of Species please call City Lights Bookstore at 828-586-9499. All are invited to join the History Book Club's discussion of Charles Darwin on June 16th starting at 2PM. Read any book on the topic and have the chance to share what you learned with the group. Everyone gets the opportunity to share! Free and open to the public. Charles Darwin, On the Origin of Species. Charles Darwin, Darwin on Evolution: The Development of the Theory of Natural Selection. Charles Darwin has a Legacy Library. Legacy libraries are the personal libraries of famous readers, entered by LibraryThing members from the Legacy Libraries group. » Charles Darwin's legacy profile. Charles Darwin is currently considered a "single author." If one or more works are by a distinct, homonymous authors, go ahead and split the author. Charles Darwin is composed of 26 names. You can examine and separate out names.